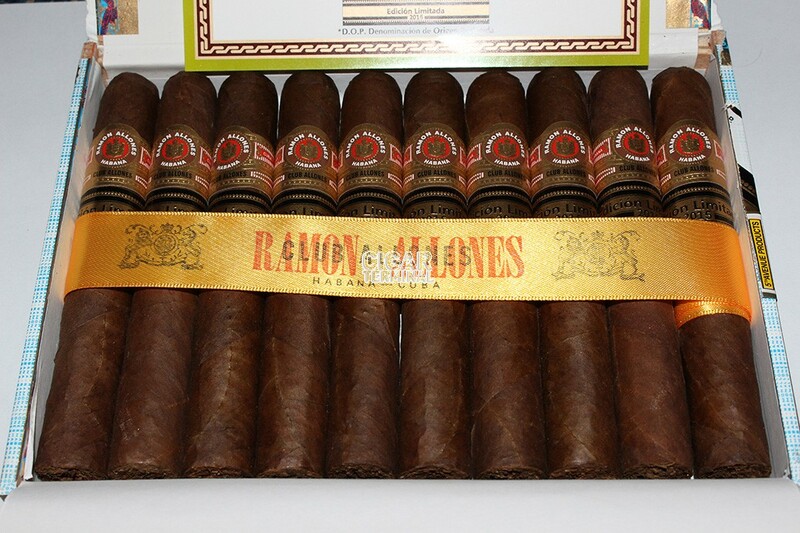 The Ramon Allones Club Allones Limited Edition 2015 is a beautiful Grande Corona, with 47 ring gauge, 5.3” (135mm) long and comes in a 10 cigars box. Ramon Allones Club Allones Limited Edition 2015 is a powerful smoke which is a unique format among Ramon Allones. • Pretty complex cigar, with powerful flavors of wood, earth, leather and some delicious sweetness. 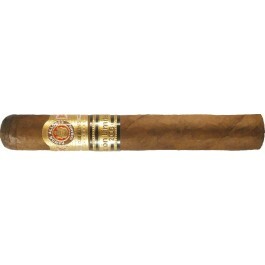 • Still being a young cigar, the Club Allones has a great potential for aging. This cigar is simply a great Cuban that will please aficionados. The cigar has a good visual appearance, with a nice Colorado Maduro wrapper that was aged for 2 years. Despite being a big cigar, the Club Allones doesn’t feel too heavy in hand, it is rolled tight, and has just the right amount of give when squeezed. There is a beautiful triple cap at the foot. The wrapper is a bit rough to the touch and there are few veins apparent. Enticing aromas emanate from the wrapper; there is barnyard, sweet chocolate, and some hints of vanilla. The cigar cuts easily and reveals a good draw. The cold draw offers some flavors of leather, earth, wood and fruit syrup. The draw remains good throughout the whole smoke. The burn line can be a bit wavy sometimes, but then corrects itself without requiring any touch-ups. The charcoal at the end of the cigar is surrounded by a nice dark grey ash. The first third of the cigar starts off strongly, but the strength recedes after the first few draws to settle at a medium body. The dominant flavors are of cedar, earth, leather. There are also good amount of fruitiness that gives some acidity, but it is counterbalanced by some molasses. There are also some notes of grassiness and of fresh tea. There is not so much spiciness at this point. In the middle third, the cigar develops its rich and complex profile. In addition to the cedar, leather and earthy flavors, there are also notes of rich cocoa. The molasses and the tea are still around, whereas some notes of spiciness also appear. The finish is now longer and strong, while the body remains at a medium level. In the final third, the cigar gains in strength in body and flavors. The flavors of cedar, leather and earth are stronger. Some roasted nuts also join the mix while the sweetness has completely vanished. The retrohale is equally powerful, however the Club Allones is delicious until the nub. In summary, this is a very complex and pretty powerful cigar that deserves to be aged for 3 years to be delivering its full potential.